In 1964, Louis Honig purchased a 68-acre ranch in Rutherford, in the heart of the Napa Valley. The vineyard was planted with Sauvignon Blanc and Cabernet Sauvignon grapes, which he sold to neighboring wineries. Louis worked to create a family gathering place at the ranch, for his children and grandchildren, while he dreamed of the day he could retire from his San Francisco advertising agency and make wine from his vineyard. Louis passed away before he could realize his dream, leaving the estate to his family. In 1981, as a tribute to his legacy, his family produced a few hundred cases of Louis Honig Sauvignon Blanc in the vineyard's old tractor barn. After the wine won a Gold Medal at the Orange County Fair, the family decided to increase production, and Honig Vineyard & Winery was born. 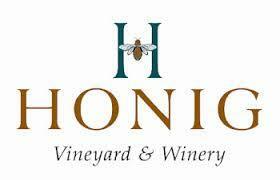 In 1984, at the age of 22, grandson Michael Honig took over management of the vineyard and winery. In 1989 the family began producing small amounts of Cabernet Sauvignon. As the business grew, family members Regina Weinstein, Steven Honig, and Stephanie Honig joined Michael in the wineryThe Honig family are leaders in sustainability, both in the vineyard and the winery, and what began as a small "garage" winery has today become a successful family enterprise, with everyone working collaboratively to run an inspiring and socially responsible business. Winemaker Kristin Belair focuses production solely on Sauvignon Blanc and Cabernet Sauvignon, and Honig wines can be found on the wine lists across the country. Louis Honig's vision of bringing his family together to share in the beauty and bounty of Napa Valley, while producing outstanding wines, has become a reality. "Perfectly balanced grapefruit and melon aromas and flavors are accented by lime and mango. A round mid-palate is followed by a vibrant, crisp, lingering finish." ~Winery notes Zippy acidity lends a crisp freshness to the tropical flavors of mango, kiwi, lemongrass & freshly squeezed grapefruit. Wine Advocate 88 " The 2009 Cabernet Sauvignon is a pretty, mid-weight offering. Sweet, dark fruit spices, French oak and licorice are some of the notes that flow from this supple, inviting Cabernet Sauvignon. In 2009 the blend is 89% Cabernet Sauvignon, 8% Cabernet Franc and 3% Petit Verdot.